Be strong. Don’t cry. Shrug it off. Don’t let it bring you down. Push through. It’s not that bad. Have you thought this or heard these sayings before? In our American culture and society we are not to show weakness right? Weakness is a sign that we supposedly don’t have it all together and no one likes to be the person that doesn’t have it all together. We tend to think if and when we embrace our weaknesses we become too vulnerable and too sensitive. 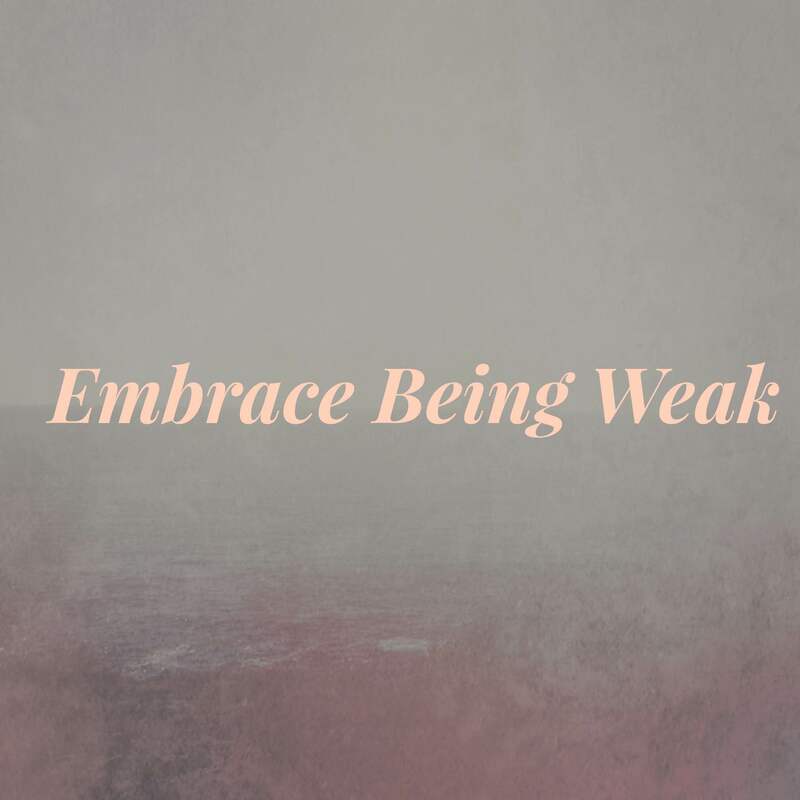 The reality for us is, when we embrace our weaknesses we actually have to begin to open up and share what’s going on in our lives to other people. This is too hard and too scary for people to do. So now what? Throughout my life I have fought hard at times to not show when I am weak. In these moments of weakness, I didn’t want others to know how I felt on the inside. You know what we do: Someone asks, “how are you doing?” Our typical, robotic, systematic response, “I’m good.” Are you really good? You mean to tell me we never go through anything? Life never gets challenging? People never rub us the wrong way? Work doesn’t stress us out sometime? Hmm.. Maybe we need to start being more honest with ourselves. The weakness in our life is not out to destroy us. I believe the weaknesses that God allows in our lives are there to help us grow. Weaknesses can be turned into strengths. When we begin to become stronger in our weakness, we then can go and help the next person that is weak in the area we were once weak in. Amen somebody? I no longer run from my weaknesses. Neither should you. Will we still struggle at times with embracing them? Sure, this will always be a battle. I realize we won’t always get it right in this area but at least we can admit they are there. Often times, admitting is the first step to overcoming a struggle, battle or problem. Let’s face it; we are not as strong as we pretend to be. In our weakness, God can do something with us. The greatest leaders that have walked the face of this earth displayed their weakness at some point in their life. Need proof? Read a few stories about the prophets and the leaders in the Bible. They are a lot like you and I, weak and in need of God’s strength.